According to the Next Big Future, the International Business Times reported last November that the US government is testing the EmDrive on the Boeing X-37B and that China is also incorporating the EmDrive to its orbital spacelab Tiangong-2. An EmDrive technology transfer contract with Boeing was reportedly undertaken in 2009 through a Statement Department TAA and a UK export license granted by the UK MOD. Although the US' DARPA, USAF, and NSSO have knowledge of the contract, the propulsion experiment was declared as a test of a Hall-effect thruster made by Aerojet Rocketdyne. Just last month, Chinatopix reiterated the claim that the X-37B spaceplane is testing the EmDrive after it exceeded the current record of 675 days in orbit. According to the report, the X-37B, identified as OTV-4 on its current mission, was launched from Florida's Cape Canaveral Air Force Station on May 20, 2015. And unlike the past three OTV missions, the Air Force kept mum of the OTV4's true mission, and only speculations are surfacing. The report further said that there are continuous reports that the Air Force is testing on the EmDrive on the OTV-4 mission. Should this be true, this could fairly explain why the spaceplane remained in orbit past its announced mission life of 200 days. EmDrive, being the highly controversial propulsion system that it is, is capable of revolutionizing both manned and unmanned space travel. What makes this system interesting is that it requires no fuel or propellant to produce a thrust, something that clearly defies Newton's laws of motion. 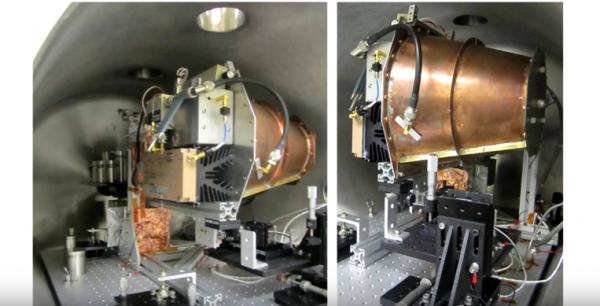 But if the EmDrive is true, a trip to Mars would only take 70 days, or possibly less. CRISPR Technology Could Help Cure Malaria, but is it Good or Bad?